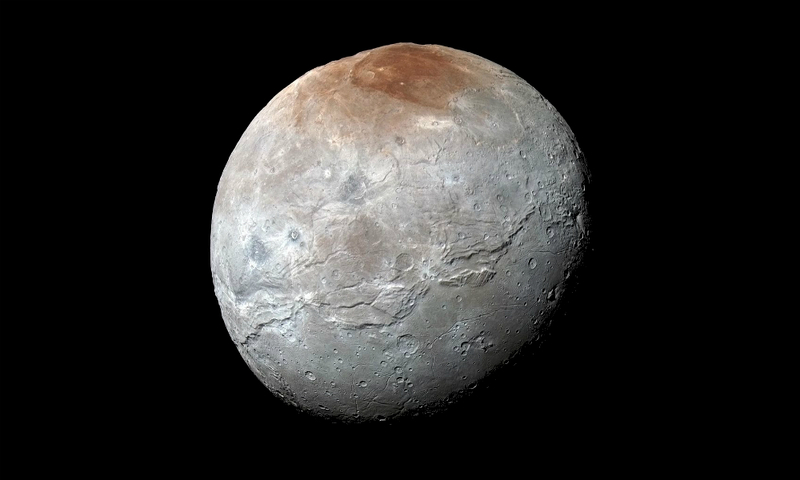 NASA's New Horizons captured this high-resolution enhanced color view of Pluto's moon Charon, showing the crack on the icy moon. It was taken just before closest approach on July 14, 2015. The image combines blue, red and infrared images and the colors are processed to best highlight the variation of surface properties across Charon. Simulations done by Alice Quillen showing how different bodies would react to close tidal encounters, including when modeling only the cores of the icy moons and how cracks occur when the top, icy layer is added. The work was in part supported by NASA grant NNX13AI27G.